Grand Re-Opening of Little Treasury Jewelers Amazing New Showroom! 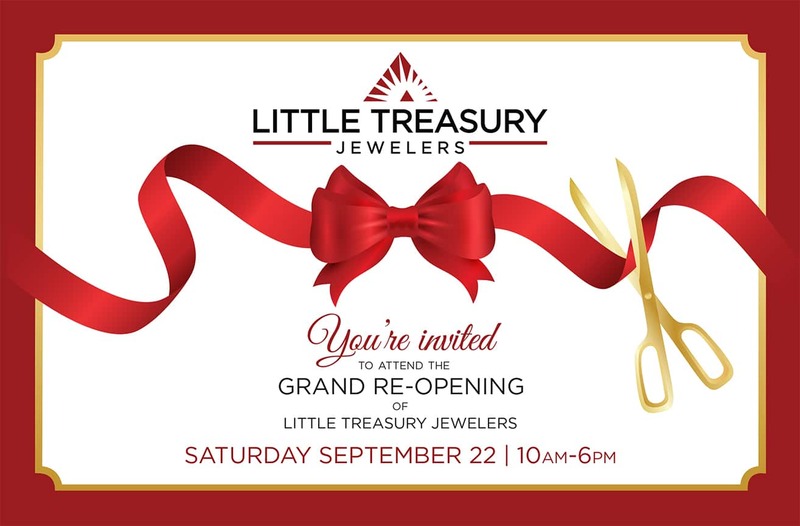 Grand Re-Opening of Little Treasury Jewelers! and award presentation to our $1000 shopping spree winner! Enjoy liquid refreshments and hors d’oeuvres while we celebrate this historic event! with a huge collection of his pieces especially for this event. District Time 2018! A Unique Washington, DC Watch Show!